Power Team jaw spread attachments with a spread ranging from 38.1mm to 228mm, ideal for removing bearing cups, bearings, oil seals and bushings. Perfect for internal pulling: removal of oil seals, bushes, bearings and bearing cups. Specifically designed for use with Power Team Push-Pullers or slide hammers. 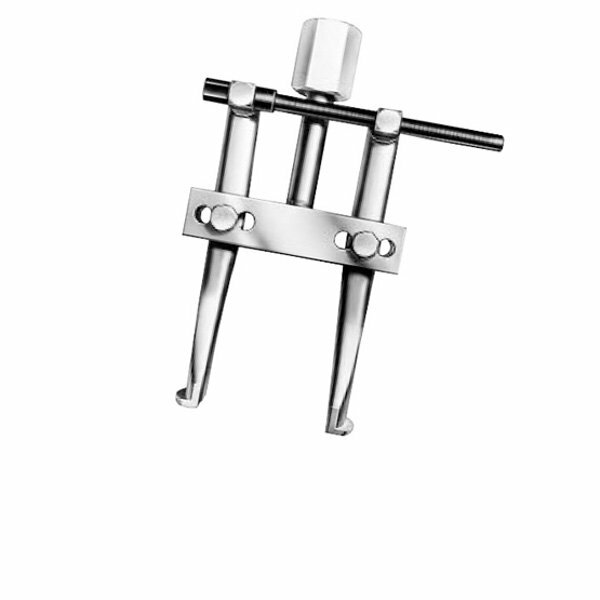 Jaws are adjustable and therefore fit a variety of diameters. Traditionally tricky to extricate parts removed simply, without damage. 1153 38.1–127 54 1–14 5/8–18 Use with Nos. 927 and 938 Push-Pullers. 1150 38.1–152 102 1–14 5/8–18 Use with Nos. 927 and 938 Push-Pullers. 1151 38.1–178 133 1–14 5/8–18 Use with Nos. 927 and 938 Push-Pullers. 1152 38.1–152 102 – 5/8–18 Use with Nos. 927 and 938 Push-Pullers, 1155 and 1156 slide hammer pullers, or 24832 and 24833 puller screw. 1154 38.1–152 102 1–8 5/8–18 Use with No. PPH17. 1165 76.7–229 149 11/2–12 1–14 Use with No. 939 Push-Puller. 1166 76.2–229 149 11/4–7 1–14 Use with No. PPH30. 24832 Puller Screw 5/8–18 0.5 Use with Nos. 1150, 1151, 1152, and 1153. Acts as a regular forcing screw when threaded directly into block of pulling attachment.